Anna Jenks was visiting her father, Rep. Michael Jenks, at the capitol building in Washington, D.C., when she first met Alexander Ramsey, an up-and-coming congressman from Pennsylvania. 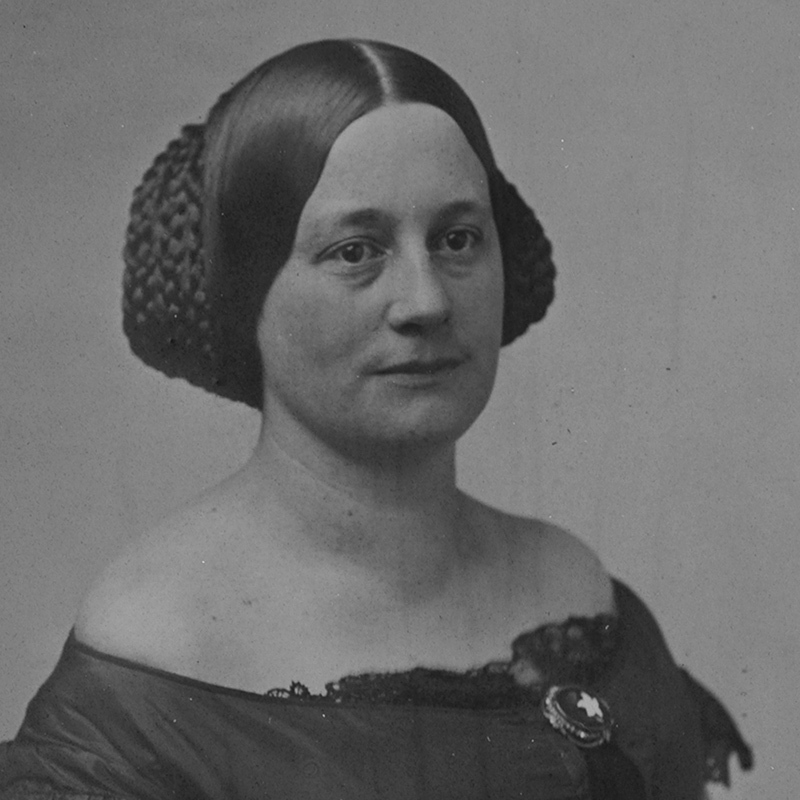 The couple married in 1845 and lived in Washington and Pennsylvania until Ramsey was appointed Minnesota's first territorial governor by President Zachary Taylor. The Ramseys arrived in Minnesota territory in 1849 with their first child, Alexander's brother, and a servant. Although Mrs. Ramsey once wrote she "would never want to winter again in St. Paul," the Ramseys spent most of their lives in Minnesota. Their second child, William Henry, was born a year later. Only four months after that, their first child, Alexander Jenks, died at age four. William Henry lived for only 19 months. Daughter Marion was born in 1853. Marion was the only one of the three Ramsey children who survived to adulthood. While Ramsey served in the Senate, he and Anna lived in Washington, D.C., and Marion attended boarding school in Philadelphia. In 1875 Marion wed Charles E. Furness of Philadelphia. The young couple moved to Philadelphia and had four children — Anita, Alexander, who was called Ramsey, Charles, who died in infancy, and Laura. Anita, Ramsey, and Laura Furness grew up in their grandparents' home with Alexander Ramsey as a father figure. The busy household also included several servants who lived and worked at the home. Many of these were immigrant women, including longtime cook Annie Robertson, and five Carlson sisters, who worked on and off for the Ramsey family for 30 years. Grandson Ramsey Furness eventually moved to Missouri and married; he died at age 39 without any children. Neither Laura nor Anita married, and they remained in the home throughout their lives. 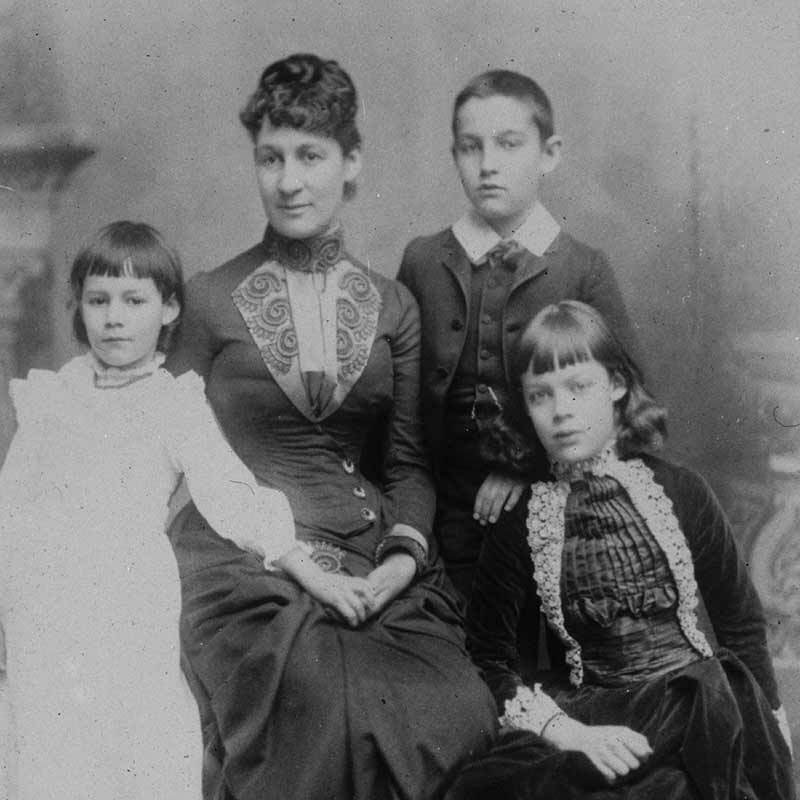 In their wills, the sisters left the property to the Minnesota Historical Society, along with family letters, numerous photographs and more than 14,000 original furnishings.